The Government of Guyana has received financing from the World Bank toward the cost of the Guyana Oil and Gas Capacity Building Project and intends to apply part of the proceeds for consulting services. 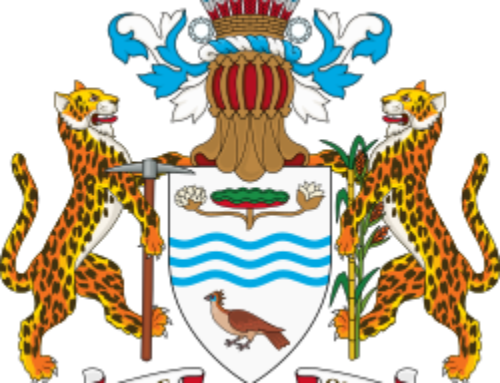 The consulting services (“the Services”) includes the provision of advisory services and technical support to the Government of Guyana, through the Department of Energy, with the aim of enhancing the country’s core capacity to review, approve and authorize Field Development Plan(s) (FDP) and in the process help level the playing field between the government and private sector investors . The estimated duration of the Consultancy is Four Months, with commencement scheduled for December, 2018. That the Consultancy Firm should be an internationally-recognized firm with experience in providing professional opinions (such as Competent Person’s Reports) to Governments on oil and gas field development planning & execution. The proposed team members should have in-depth international expertise. Key Experts will not be evaluated at the shortlisting stage. The attention of interested Consultants is drawn to Section III, paragraphs, 3.14, 3.16, and 3.17 of the World Bank’s “Procurement Regulations for IPF Borrowers” July 2016 (“Procurement Regulations”), setting forth the World Bank’s policy on conflict of interest. A Consultant will be selected in accordance with the Selection Based on Quality and Cost Based Selection (QCBS) method set out in the Procurement Regulations. Further information can be obtained at the address below during office hours 08:00hrs to 16:30hrs. Expressions of interest must be delivered in a written form to the address below (in person, or by mail, or by fax, or by e-mail) by November 5, 2018. The objective of the assignment is for the Consultant to provide advisory services and technical support to the Government of Guyana, through the Department of Energy under the Ministry of the Presidency, with the aim of enhancing the country’s core capacity to review, approve and authorize Field Development Plan(s) (FDP) and in the process protect the interests of Guyana in technical discussions with private sector investors. The strategy and the development model, as well as the criteria for the choices that have been made by the Contractor (with a particular focus on recovery, cost and safety optimization) and potential alternatives. The proposed project schedule (with a particular focus on tail end production). The proposed oil and gas surface facilities. The overall risk management strategy. Prepare a report summarizing the opinions formed in the evaluation of the FDP and EIA, highlighting any deficiencies, unresolved issues, or areas of additional technical analysis that government should request from the Contractor before making a determination on the FDP. Assisting the Department of Energy and identified agency representatives in formulating responses and communications to the Contractor aimed at lodging objections, resolving differences in technical judgement, requesting modifications, etc. Accompanying representatives of the Department of Energy and identified agencies, to meetings with the Contractor. Analyzing responses received from the Contractor and making recommendations on the adequacy of such responses. If revisions to the FDP are ultimately made, the Consultant will review the revisions to assure that the issues and deficiencies or requested modifications identified in the original FDP have been adequately addressed. Provide on-the-job training to the Department of Energy and identified agency representatives during the FDP evaluation itself. Document the field development review process, capturing international best practices, for future reference. The duration of the assignment is expected to be four (4) months with an option to renew on expiration, commencing 15th December 2018. The Consultant are requested to present their proposal with a timeline allocation for the assignment and any assumptions made regarding the level of effort indicated in this TOR. Work is to be conducted in the offices of the Contractor in Guyana and in Houston. The team leader and other key consultants will be present in Guyana as needed to discuss and present the report and to assist in interaction with the Contractor. The contract will be a lump sum based and the selected Consultant will be required to complete the work for the amount of their proposal. The Department of Energy will designate a Focal Point to work with the Consultant. The Focal Point will provide existing documentation regarding the Project and meetings with the operators will be set up whenever needed, nevertheless, the Consultant will be responsible for obtaining all the necessary public information required to perform the tasks included in this TOR. The core deliverables for this assignment are the provision of advice and assistance to the Client as required in executing the Scope of Work. The Consultant will be expected to prepare answers in writing, as needed, queries from the Department of Energy, and submit well documented advice and recommendations on the FDP. Moreover, the Consultant should be available for audio or video conference when required. In week 3: The plan, schedule, and outline for the FDP review as well as the plan for on-the-job training for the designated representatives. The Department of Energy’s approval is required for this plan. The Consultant is expected to incorporate one to three professional staff of the Department of Energy or identified agency in their team and provide training and guidance. The Government of Guyana will cover the costs associated with travel and accommodation for the staff participating in the training. A workshop before the submission of the final report (week 15). All deliverables in electronic and printed copies will be required in English and will be submitted to the Client for review and approval within the deadlines established. The World Bank may also review the deliverables for consistency with World Bank Safeguards. It is expected that certain deliverables may require several drafts to incorporate comments by the World Bank, the Client, and relevant stakeholders before they are determined to be final. To be eligible for the assignment, the Consultant should be an internationally-recognized firm with experience in providing professional opinions (such as Competent Person’s Reports) to Governments on oil and gas field development planning & execution. The team leader should have wide experience of working with versatile teams and excellent planning, organizational and communication skills with the ability to guide multidisciplinary technical teams. The team leader proposed for the assignment should possess an advanced degree in petroleum engineering, geology, or similar discipline and have at least 15 years of experience in the oil and gas industry, which should include experience in reserve determination, field development planning, and facility design. Should have experience in reservoir evaluation, mapping, 3D geo-modeling and volumetric assessments using both deterministic and probabilistic methods. Familiarity with EM Power and/or Eclipse is a requirement. Should have experience in reservoir management and technical, economic and risk analysis including reservoir modeling and production forecasting. Should have experience in offshore drilling projects with background in the engineering, operations and project management aspects of well construction. Should have in-depth knowledge of technological aspects of offshore Development facilities (Subsea development, including Subsea Production system, Subsea facilities and operations). To be considered for the assignment, proposed team members should submit their respective CV’s. 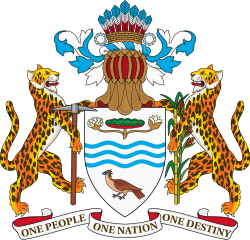 The key members of the Consultant’s team shall not change throughout the duration of the contract with the Government of Guyana. Any staff changes will require the Government of Guyana’s approval. The Consultant’s recommendations must be consistent with the World Bank’s safeguard policies. It is expected that the work would be conducted both in the Contractor’s and in the Client’s office. The Consultant is expected to propose a cost effective proposal for carrying out the work between multiple locations. The Consultant shall be required to keep confidential all information received, gathered or communicated, directly or indirectly, from relevant authorities, agencies, ministries, the World Bank or other stakeholders as well as all copies or analyses that the Consultant has made, or that have been made by third parties, on the basis of such information (collectively, the Material). The Consultant shall use the Material exclusively for the purpose of providing the services described in these Terms of Reference. The confidentiality obligations shall not apply to information in the public domain. All reports and work products from the consultant will be delivered to only specifically designated representatives within the Department of Energy and of any other agency identified by the Department of Energy. The Contractor will be determined by the Client.